Hello everyone. It’s midwinter but lots of exciting things coming up at PPS as we head towards Spring. We have all been very busy but it’s also been a very exciting year so far. Read on to find out more and also how you can play a part. In this Update, you will read about our big project for this year. How could we build on the success of Grandparents Day last year? Well, this year instead of doing something similar, we decided to organise science events with the school. As you will be aware (since Mary has mentioned it several times this year – but I still think it is worth repeating) the school is focusing on expressive arts and science as part of its development plan. These are 2 of the 8 Curriculum for Excellence areas. For our part, the PC have been busy gathering views from parents and pupils through focus groups on expressive arts to feed into future planning about music, art, drama and dance, and working with the school to develop science events for all pupils. In the Update there is an article to share some of the feedback from the focus groups (both pupils and parents). Later in the year we plan to have Focus Groups for science. I also want to take the opportunity to plug the Factfiles on CfE that you should have received – “Parents as partners” and “Supporting learners”. These are part of the second series of FactFiles. The National Parent Forum of Scotland, on which I sit as the East Lothian representative, helped prepare these. I hope your find these helpful. If you have any feedback on these please let me know. Don’t forget, if there are any issues please contact us and we will do our best to provide an answer. The Q&A for this issue is about Christmas performances. Thanks to Mary McCall for providing an answer. The Parent Council has been working with the school to organise Science Days. We can tell you that Glasgow Science Centre’s Outreach team is going to run science workshops for pupils in P1-P4 on Monday, 16th May and for pupils in P5-P7 on Wednesday, 18th May. We are very excited about this project. 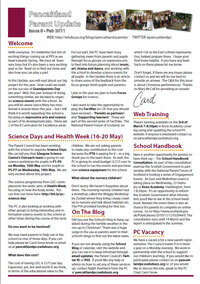 The science programme from GSC coomplements the wider aims of Health Week, focusing on how the body works. You can find out more here: http://bit.ly/pc-science-day . The PC is also looking at working with other groups to bring interesting and informative science events to the school at other times during the course of the term. We may need parents to help out in the school on one of those days. If you can help please let Carol Snow know or email us at pencaitlandpc@www.edubuzz.org. The cost of having GSC is £375 per day. Expensive, yes, but well worth it we think, in terms of the educational value to the children. We are not asking parents to make any contribution to the cost because the PTA is paying for it – so a big thank you to the team there. As well, the PC is giving its small budget (£212) over to the school to run the events and purchase new science equipment for the school. What about the nursery children? Don’t worry. We haven’t forgotten about them. The morning nursery children had a workshop called the Wriggly Workshop by Zoolab where they bring creepy crawlies to nursery and talk about habitats etc. The PTA provided funding for that too. Here is another opportunity for parents to have their say — The School Handbook Consultation. As part of the consultation exercise the Scottish Government in partnership with the National Parent Forum of Scotland is hosting a series of Engagement Events. An East and Midlothian event is taking place on Wednesday, 23 February at Knox Academy, Haddington, from 7-8:30pm. It’s an opportunity to inform the Scottish Government what information you’d like to see in the school handbook. Besides the event there is also an chance for parents to complete an online survey. Go to http://www.scotland.gov.uk/Publications/2010/11/12102944/0 The consultation runs until 14 March and the report is anticipated in the summer. We have a vacancy for a new parent representative. The Council meets 4 to 6 times a year on a Monday evening. We work in partnership with the school to support our children’s learning. If you would like to participate please contact us on pencaitlandpc@www.edubuzz.org or, if you would like to discuss the role, speak to the PC Chair Carol Snow. Did you use the School’s blog to keep updated during the terrible weather in the run-up to Christmas? There was a huge surge in the use as parents went to their school’s blogs to find out the latest news. If you are not already using the School Blog or calendar, visit the website and you can use it to keep informed through email updates, the Parent Council’s Twitter ID or RSS. If you’d like any help or advice on how to set any of these services up, contact Ralph Averbuch from the PC at pencaitlandpc@www.edubuzz.org. Dorothy Ogilvy has been providing music classes to P1 and P2 on Thursday mornings during the first term and this is continuing. In January Charlotte McMillan began providing music in the nursery on Friday mornings. Recorder practice started up in January. This is on Monday mornings from 9-10am. We are trying to run a rota of parents. The more parents involved the easier it is. This is being piloted with P4s and will be assessed as we go along. To reiterate – no experience necessary, basic training provided. If you’d like to get involved with recorder practice then please contact us on pencaitlandpc@www.edubuzz.org or speak to Dorothy Ogilvy on the PC. Historically the Christmas show has been performed in rotation with infants performing one year and upper stages (except P7) the next. However, this pattern was broken when the acting head teacher decided the infants should do a nativity play for Christmas ’09. This had been organised before Mary McCall began as Head Teacher. This year Expressive Arts is part of our School Improvement Plan, and Mary, working with the teaching staff, organised it so that all pupils took part in a performance,other than their class assembly. P3/4 and P4/5 performed Scrooge at Christmas. P1 and P2 pupils took part in The Wee Bannock, a YMI initiative, with Humbie and Saltoun pupils on 28th Jan. P5 – 7 pupils will be taking part in another YMI initiative – King Loth in March. P3 pupils in P2/3 will be involved in a school based performance with Mrs McCall, later in the year. We have had pupil and parent focus groups on Expressive Arts this year and staff have discussed the feedback from both. This feedback has informed teaching and learning in classes and also generated discussion on performance. It has been agreed that in the future the Christmas performance will always be done by infant classes, so that pupils will not miss out on this experience. Other performances will vary from year to year, but there will always be a P7 show later in the year. Music: drumming, playing the recorder, learning about instruments, and different musical styles, learning songs for assemblies, practising for the Christmas show, music games, music classes with Dorothy Ogilvy (one of the parent volunteers). Art: Charcoal pictures, silhouettes, nature pictures, paint work, looking at artists’ work (such as Andy Warhol), leaf rubbings, rainbow trees for CfE, making Viking, Roman and Katie Morag villages, colourful fireworks, making Christmas pictures for old people’s home, environment collage and space project with Mrs Archer (one of the parent volunteers). Drama: John Muir drama work, WW2 assembly, ELC drama teachers input, circle time/drama games, Mary Queen for Scots events, Rights, wrongs and responsibilities – acting out different scenes about graffiti, bullying, stealing, scenes about friendship, acting out Little Red Riding Hood for class, Being Cool in School. Dance: Dances for parties, such as Scottish country dancing, Rock n Roll led by Mr Kingsbury, Pow Wows in P4, Dancing during health week, Attention penguins and McDonalds at the 1-2-3! Sing event and dressing up in period clothes and doing the “Ladies of Gossip Dance” at Edinburgh Castle. They weren’t just “doing” these things. They were able to talk about what they learned and how they felt and were confident sharing their experiences with us. Speaking with parents it’s clear not all know the Curriculum for Excellence areas nor that the school is focused on expressive arts and science this year. All parents thought expressive arts was very important to their child’s development. Not only can it be used to communicate emotions, but it provides a safe area to channel energy, increases confidence, giving pupils a chance to explore different scenarios and being different people. There was positive feedback about some activities, such as the performance of Scrooge. Feedback specifically on 1-2-3 Sing! showed that while some parents did hear the pupils singing in the playground many parents were unaware of it in advance. The children really enjoyed the day, as well as singing to their parents. The pupils want more…of everything! More dance, more drama, more music and more instruments, more art. Two very precise things was a chance to be involved with assemblies twice a year instead of once and having a drama themed PHAT Friday. Parents want more singing too! One new singing venture would have been carol singing at the old folks’ home. Unfortunately this was cancelled due to bad winter weather. re-instituted (this couldn’t be organised for this year but parents were invited to come to the school assembly), and class trips to live performances music. 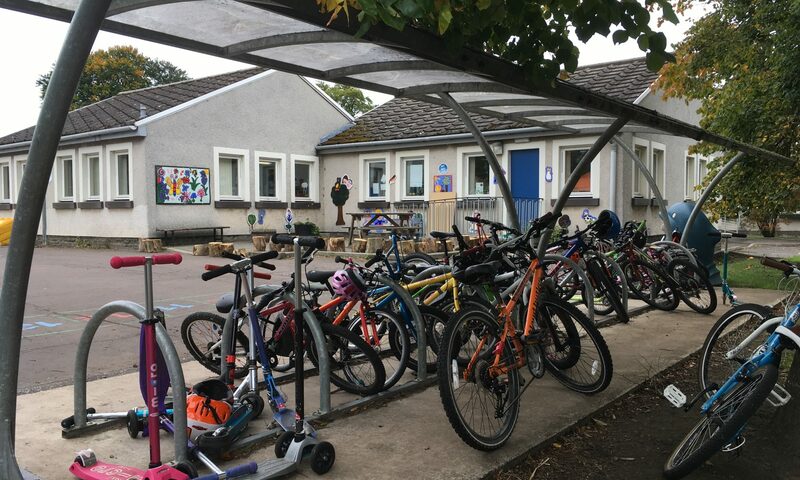 Mrs McCall has discussed the feedback with the staff and they will be considering what the school can do in response (taking into consideration health and safety, costs, etc) to enhance the learning for all pupils. I think we can as parents give a “thumbs up” to PPS for providing an environment where lots of opportunities exist for pupils to explore, be creative, learn and have fun through expressive arts. We look forward to hearing what else will be offered in the future. The 2011 PTA school calendar raised £1300 which will be going towards buying some mini cookers for the school, science equipment and subsidising future school trips. The PTA have also set aside funds for outdoor nursery play equipment that will be installed once the weather improves. If anyone has ideas for PTA events or suggestions on how to spend the PTA funds please contact the school or e-mail eilidhandgraham@btinternet.com.